How You Can Help | Federation of North-American Explorers | Semper Parati! First, you can pray for us. Could you set aside one decade of the Rosary per week for the intentions on the FNE? Could you offer a Divine Mercy chaplet or a Holy Hour on our behalf? Second, you could donate to us directly. Since we are an all-volunteer movement, 100% of donations go directly to our youth programs, to help bring our program to families who need assistance and to grow our movement here in the United States. Even a small donation will help us deliver our program to youth! If you would rather write a check, simply send an email to donate(at)northstarexplorers.org and we will give you a mailing address to send to. All of our donors are automatically enrolled in the FNE USA Benefactor’s Society, remembered perpetually in the prayer intentions of our Explorer movement. We would like to announce the following donation levels. Please note that the Federation of North-American Explorers has filed for status as a 501(c)(3) not profit, so donations are tax-deductible to the extent permitted by law. Lastly, be assured that our Leaders, Explorers, and Timber Wolves pray for our friends and benefactors each day. The Federation of North-American Explorers is affiliated with the Union Internationale des Guides et Scouts d’Europe – Fédération Scoutisme Européen (UIGSE-FSE), which is an association of youth and leaders approved by the Holy See (in fact, in 2003 we were recognized as an international private association of pontifical right). 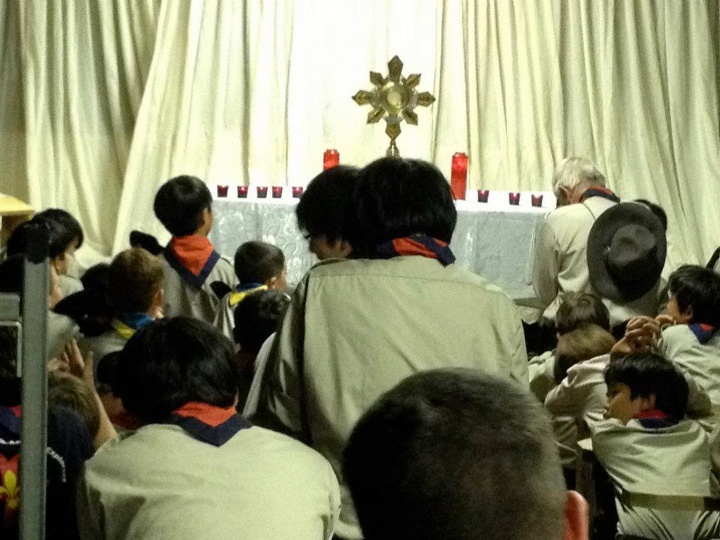 Our methods are those used by Lord Baden-Powell and Ven. Fr. Jacques Sevin.